Shittu Abosede is a young Nigerian that is passionate to fulfill purpose and she is daily coming up with ways to impact lives positively. Our team recently met her and she granted us an interview. Relax and enjoy our exclusive interview with this young dame and trailblazer. My name is Shittu Abosede, I hail from Ogun State, Ijebu Remo precisely. Born in Lagos state in April 29 1991, into the family of seven (parent and sisters). Am a student, studying Estate Management, presently on trainee at Wale Aderibigbe Estate Surveyor and Valuer. I am always me and can’t be changed for any. I am into blogging, fashion, online marketing and advertising. There are billions of people on earth, what are the four selling points (qualities) that distinguish you from this great crowd? Tell us about the face of Shittu Abosede’s blog? FOSAB, is a name derived from face of shittu abosede’s blog; this is an online photo contest which makes young adults that are happy in the beauty God has given them to showcase their photo online for friends, family and loved ones to cast in their vote for who they want to emerge as their queen and king, who will be an example of a good role model to the younger ones in the society. For this year, the 18 years old Divine Promise who hails from Anambra State and Oriowo Tosin who hails from Osun State emerged the king and queen of FOSAB 2014. We are happy for them. What do you want to achieve through it? I want to achieve lots of beautiful things through it – to share ideas, make young models to kiss success and also acquire basic skills towards reaching out to unreached in other to void people from becoming collateral damage to the society. How has it been since you started this vision? It hasn’t been easy but God has been faithful, I can’t say I started in a buoyant note, but I believe the word of God that says, “sorrow may last all night, surely joy will come forth in the morning.” I believe the future holds greater things for both me and you. Life inspires me, the world inspires me. To my little knowledge, I have come to understand that we can’t live life twice and i get inspired by living my today for humanity with love, sincerity and truth. Jesus, yes Jesus! He is my role model because he is the best definition of love, and without love, the world itself can never progress. Life is a journey, the more we live on it the more we learn but always live on it like its going to be your last day on earth. What is the number one thing you want people to know you for? Describe your family in three words? A real woman is a woman of good character, her price is far above materials things. She is trusted and makes sure she touches other lives in a positive way. She brings joy to the home and also serve as a good role model in the society. If you are asked to solve a problem in Nigeria what would that be? It is unemployment. I am pleading on behalf of all the students out there, both the undergraduate and graduate, that our government should put all hands on deck to create job in other to help the masses, immediately after school and also to help build up the potential, gift deposited in the young ones out there to be able to reach the world at large. success is not all about money, houses or clothes, but how many lives one is able to change in a positive way. Are there people you are grateful to on your life’s journey thus fa? I am grateful to God Almighty, my family and my supporters for believing in me and my dreams. 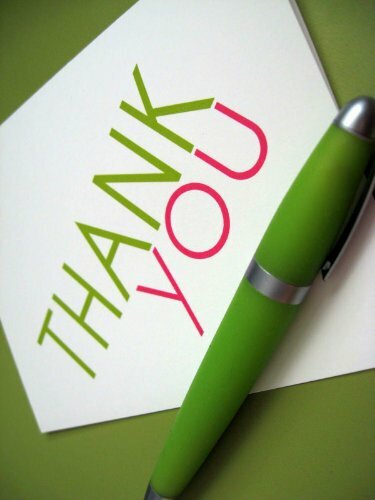 I say a big thanks to you all. Whats your advice to young people like you? Firstly, I want them to believe in God because with Him all things are possible. They should believe they can make it in life if only they keep trying, its not always easy at the start but remember quitting is never the solution and also an ark wasn’t built in a day, its a gradual process, so work hard now to be able to add to the development of this country. Shittu Abosede Enitan blogs at http://itanlabi.blogspot.com and she is a lively person. Soon you will be seeing her doing greater things through the grace of God. We are happy to publish the final Shortlist for ‘The Phenomenal Woman Poetry Anthology’ in honor of Maya Angelou. We at Hinovelty congratulate you all for being chosen for this ageless work. Writing is something that has to be worked on if the aim is to communicate and engage with readers. It is a craft which requires creative thinking, hard work, planning, research, revision, careful use of words and a sense of purpose. * Opportunity to develop your writing capacity and stamina. * Network with published and aspiring writers of different genres. * Avenue to meet and greet with great souls. A thinker, writer and entrepreneur. Author: Rich Theory. Your life will take a quantum leap to success after attending this event. Writing events are excellent for writers and speakers at any stage of their career. Your writing skills impact your speaking power. 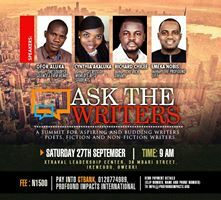 This event is a safe place to rub minds, talk shop, learn cutting edge tips, tricks and techniques to become not just a writer but a holistically developed person. Note: At Hinovelty, we are focused and on helping be your best.